Bucks Gaming has hired Wady “MLGTactuk” Tactuk as its head coach. The Bucks’ new man debuted on the headset in the TIPOFF, where the team upset Blazer5 Gaming, last year’s regular-season leaders, 71-56. 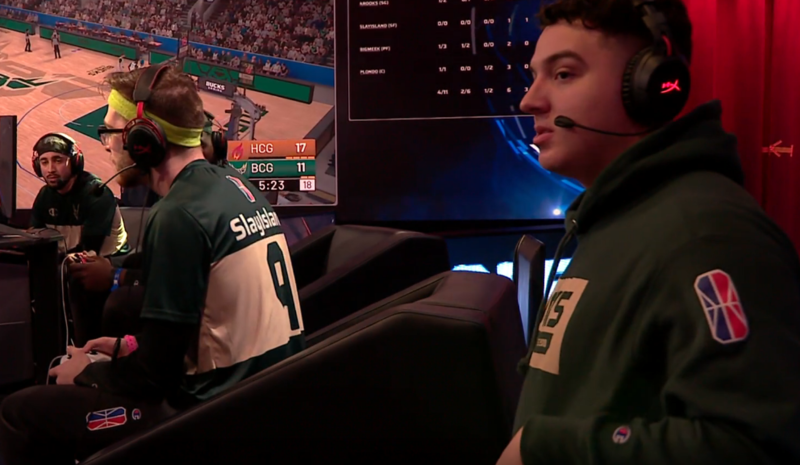 The Bucks, not picked by many to make it out of their group, advanced to the quarterfinals after winning Group 7 despite a tight 60-54 loss to Utah Jazz Gaming. The team lost 67-53 to wildcard clinchers Heat Check Gaming in the quarterfinals. Before being hired, Tactuk flew out to Milwaukee to do a camp and play against the Bucks players. While the team considered several community members for its head coaching role, it eventually decided on Tactuk. The Bucks open the regular season on April 10 against T-Wolves Gaming before taking on Blazer5 Gaming again on April 11. When not playing NBA 2K, Tactuk plays Division I college baseball. He played for Lackawanna College before committing to the University of Arkansas at Pine Bluff in the class of 2020.